Ascend 1000 vertical feet by dog team along a 100 year old trap line. This exhilarating 4 hour tour gives you a feel at how trappers and prospectors once explored this vast mountain wilderness. 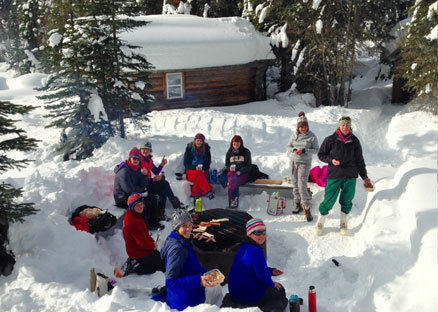 Warm up with a homemade camp fire lunch at "Our Little Bit of Heaven" - a cozy log cabin along side Small River. Now that you have a good handle on things - hold on - it’s all down hill from here!! This tour can be a little demanding physically as sometimes it is required we "break trail". 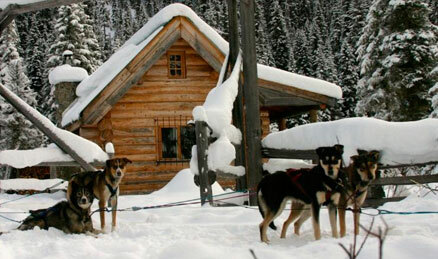 Those who participate in this tour have the option to completely immerse themselves in all aspects of mushing. Take part in the watering, unharnessing and loading of our outstanding canine athletes after the tour!